(Previously SELEX ES) - Leonardo is a new brand that defines the change of the company and its transformation from a financial holding company to an operational, integrated and innovative industrial entity. Chosen for its strong evocative significance, the new name is inspired by Leonardo da Vinci, a universally recognised symbol of creativity and innovation. Leonardo is a global high-tech company and one of the key actors in the Aerospace, Defence and Security sectors worldwide. Headquartered in Italy, it has more than 47000 employees, of which ca. 37% abroad. The DMR business line of the former Selex-ES company is now part of the Security & Information Systems division Leonardo. ECOS-D is the name of Leonardo DMR solutions characterized by a high degree of scalability and flexibility that allows to select the configuration that best matches Customer’s requirements. Conventional Tier II Leonardo solutions employ simulcast technique that allows the coverage of large areas with a reduces set of frequencies; for high traffic demand Tier III configuration may be deployed. DMR Tier III is as well supported by ECOS-D solutions with the possibility of trunked simulcast, or cellular deployments or a mixture of trunked simulcast macrocells and trunked sites. ECOS-D RBS4000 is a 19" 3RU single carrier all-in-one multi-mode VHF, UHF, 800 or 900 MHz radio base station supporting: Analog FM, DMR Tier II and Tier III, P25 phase 1 conventional mode of operations. 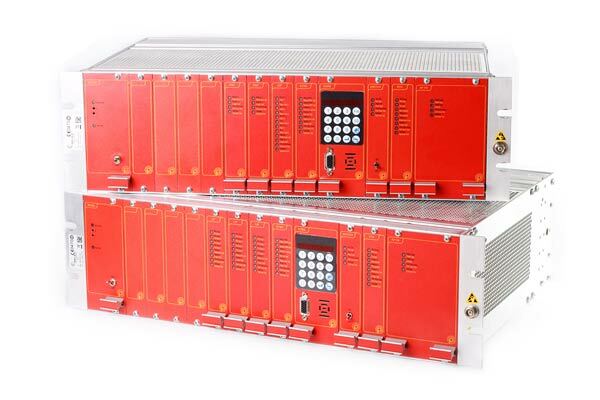 It embeds 110W or 25W RF PA, 12, 48 Vdc or 110/220 Vac power supply, voted simulcast over IP with internal GPS receivers or PTP based synchronization, site trunking controller and distributed multi-site call control manager. Embedded standard AIS interface, SIP and SIP trunk together with proprietary SIP based AISIP protocols are available for third party to interface. RBS can be linked by using E1, 4W+E/M and IP interfaces. Synchronization references used include: GPS, E1 synchronism extraction, over IP synchronization, from 4W. ECOS-D RBS4100 is a 19" 3RU single carrier all-in-one multi-mode VHF, UHF radio base station supporting: Analog FM, DMR Tier II conventional mode of operations. 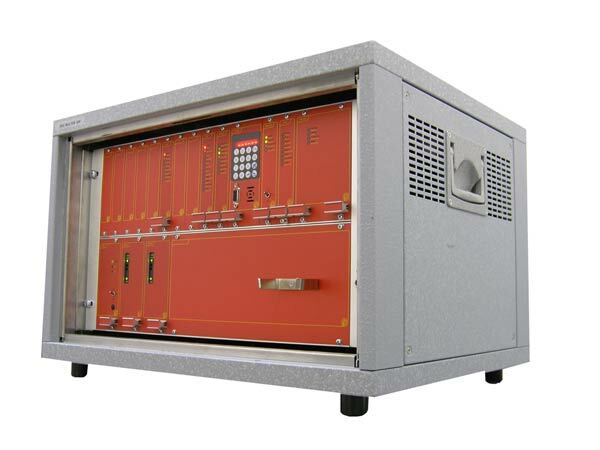 It embeds 25W RF PA, 12, 48 Vdc or 110/220 Vac power supply. RBS4100s are interconnected via a single channel UHF link integrated in the base station. Synchronization of all network RBSs is directly derived from the UHF radio communication carrier. This patented unique feature together with the bi-directional signal equalization allow a perfect terminal reception even in overlapping areas.